Businesses must endeavor to guard their trade secrets jealously. Failure to do so can wreak havoc upon development and growth. It will also give competitors a leg-up in the marketplace. Knowing and understanding California’s trade secret law is therefore critically important. Implementing multiple safeguards to prevent trade secret disclosure is necessary. If a business fails to implement reasonable safeguards to prevent trade secret misappropriation, then the business may be without recourse in court. Working closely with experienced business attorneys to develop the appropriate security measures to prevent trade secret theft could prevent disaster from striking. 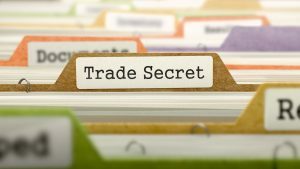 The San Jose San Jose business attorneys at Structure Law Group, LLP (in San Jose and Oakland) have extensive experience counseling businesses on how to best protect their trade secrets and defending businesses against trade secret misappropriation in court. In order to assert a claim for misappropriation of trade secret information, the owner of the trade secret information must identify its trade secret with sufficient specificity so that the information is separate from areas of general knowledge. For example, customer lists, marketing plans or pricing concessions are examples of broad categories of trade secret information. Or, the trade secret can be highly specific, such as a newly designed manufacturing process or the recipe for some sugary carbonated beverage, such as the recipe for Coca-Cola. The measures taken to protect such information for disclosure to the public are all too often overlooked by businesses engaged in the development of valuable information. Businesses must establish reasonable measures to protect their trade secret information from public disclosure, such as agreements with employees, vendors, customers and business partners that require such information, if received by the other party, be kept confidential and not disclosed except with the permission, and, in any case, under similar covenants of confidentiality and non-disclosure. For example, companies regularly require their employees to enter into agreements protecting the proprietary rights of the company, including the receipt, use and disclosure of trade secret information during and after employment with the company. California rejected the inevitable disclosure theory, which was used to prevent former employees from working for a company’s competitors under the logic that the former employees access to his/her former employer’s trade secret information would inevitably be disclosed to his/her new employer. California has a strong public policy in favor of the freedom of mobility for employees, and on such basis the inevitable disclosure doctrine was rejected. However, California courts have endorsed the notion that companies may take steps to prevent dissemination of their trade secrets held by departing employees. A non-solicitation clause in an employment contract which is agreed upon by both parties and narrowly tailored to prevent trade secret disclosure is an appropriate, and one might even argue, reasonable, measure to take. California’s UTSA allows the aggrieved party to recover the value of the actual loss caused by misappropriation of trade secrets. It also authorizes an award of attorney’s fees. In addition, if the misappropriation is proven to be intentional or malicious, then the law authorizes the court to award punitive damages against the party who intentionally misappropriated the other party’s trade secret information. Until recently, trade secret law was exclusively the domain of the states. However, Congress recently enacted the Defend Trade Secrets Act of 2016 (“DTSA”), which President Obama signed into law on May 11, 2016. The DTSA is modeled after the Uniform Trade Secrets Act, which has been adopted in 48 states, including California. The DTSA does not change the substantive law of trade secrets. Instead, DTSA created a federal cause of action for trade secret misappropriation. In the past, trade secrets were not subjects of federal jurisdiction, and cases to defend trade secrets were therefore brought in state court. DTSA changed that, allowing for federal jurisdiction in defending trade secrets. DTSA allows the district courts of the United States to grant emergency relief to seize any property used by way of “misappropriation” of trade secrets as defined in that statute. It can be anticipated however that federal courts will rely on states’ laws for some time in order to determine trade secret rights in their respective jurisdictions. The adage that an ounce of prevention is worth a pound of cure certainly applies to trade secrets. Start-ups and established businesses alike benefit from experienced business attorneys assisting them to develop and implement processes and procedures to safeguard the ownership rights in valuable trade secret information and protect against trade secret theft or misappropriation. Call the experienced business attorneys from Structure Law Group, LLP (in San Jose and Oakland) today at 408-441-47500 to learn how they can help.